EUROCHEF is a nationwide network that develops a range of premium culinary equipment, supplied by the leaders of the market. 51 dynamic companies, specialized in the installation of high-performance professional kitchens, are united in the EUROCHEF network. They share the same human values of listening and demanding the best, and also have a growing appetite for technological challenges and upmost quality. In one word they see eye to eye on the future. The EUROCHEF network offers services for every chefs in the hotel or restaurant sector, for the communities, the health industry and even large-scale retail laboratories. Today, the network involves 51 members - nearly 900 technicians and 300 salespeople spread throughout the country. 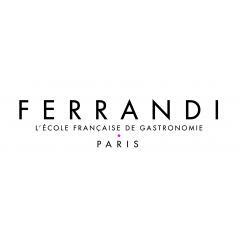 When you enter FERRANDI Paris, you enter the world of gastronomy, the French art de vivre, a school renowned both in France and abroad. FERRANDI Paris, with three sites (Paris in Saint Germain des Près, Jouy-en-Josas on the HEC campus and Bordeaux) is part of the FERRANDI group, which represents 2600 apprentices and students from France and abroad and 2500 professionals in continuing education. Founded in the Netherlands in 1931, AMEFA is a Dutch family business , which is today the 1ST European cutlery company in numbers of pieces sold to the markets. AMEFA is particularly well-known thanks to its great diversification, offering 200 different patterns of cutlery, either modern or classical. Thanks to its subsidiaries in France, the UK, Germany, Poland and Hong Kong, AMEFA is totally able to satisfy the needs of its customers, not only in Europe, but also all over the world. 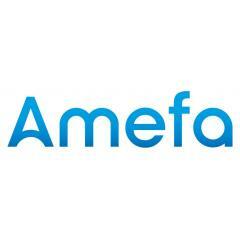 In 2006, Amefa France took over the French brand COUZON, specialized in high end stainless steel flatware and hollowware. That definitely showed Amefa’s strategy of growth. In 2010, Amefa bought the French brand MEDARD DE NOBLAT, specialized in porcelain tableware. Faithful to a tradition of quality and creativity that has always enabled the company to deal with prestigious names, Medard de Noblat has managed, thanks to huge high tech investments and to its cooperation with talented designers, to become one of the most famous brands of Limoges porcelain.